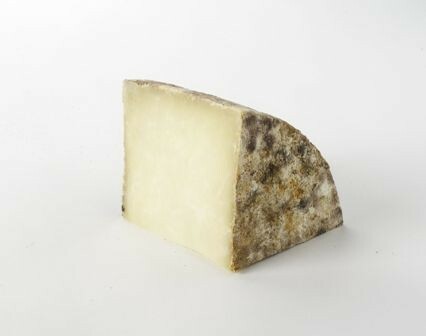 A firm sheeps milk cheese with a close, smooth-bodied texture. Pale cream in colour with a clean, rounded flavour. The Somerset Cheese Company was founded by long-term friends Philip Rainbow, and Nicholas and Anita Robinson. Based in the beautiful county of Somerset, not far from the famous Bath and West Showground, the Somerset Cheese Company is ideally placed in the heart of farming land. Philip has over 40 years experience in the craft of cheese making and his expertise is well renowned and respected. Philip and Anita worked together for many years before the Somerset Cheese Co. was formed, when Philip was the head cheese maker for a well renowned dairy on the outskirts of Wells in Somerset and Anita was his assistant. Now they have combined their individual talents along with Anita’s husband Nick who brings a wealth of day to day business knowledge. Using high quality milk that is sourced directly from the farm, and as local as possible, Somerset Cheese Company specialises in adapting traditional style recipes to produce characterful, naturally rinded cheeses. As it is such a small team (just Phil and Anita), they are involved with all aspects of the cheeesmaking process and follow it from milk to finished product. The texture of Fosse Way Fleece is remarkably smooth and creamy. The flavour has a fresh and clean taste that ends in a nutty, mellow tang. Fosse Way Fleece takes its name from the old Roman ‘fosse way road’ that runs close to the village of Ditcheat where the dairy is situated.